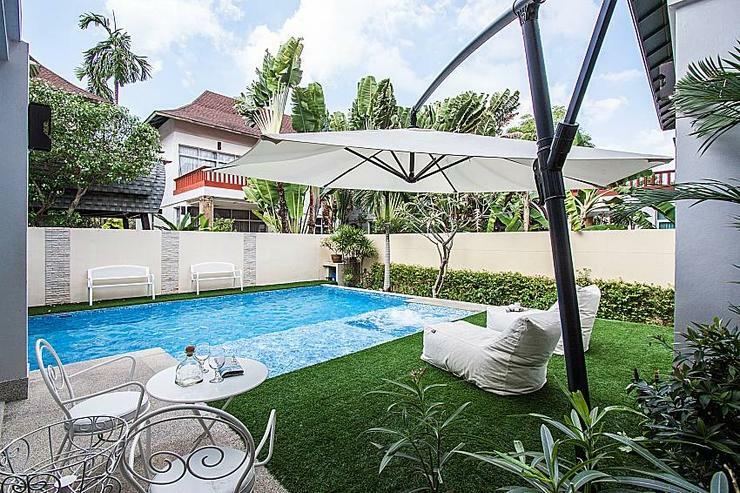 Na Jomtien Chic Villa is set in the heart of a classy residential estate with 24-hour security just 1km from Na Jomtien Beach. 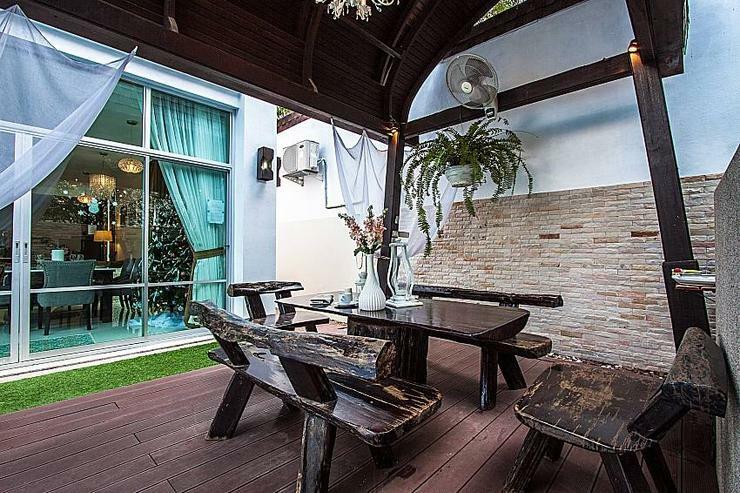 If you want to get into the main part of Jomtien, it will take a 5-minute drive, but when there, you can enjoy lots of international restaurants and beer bars. 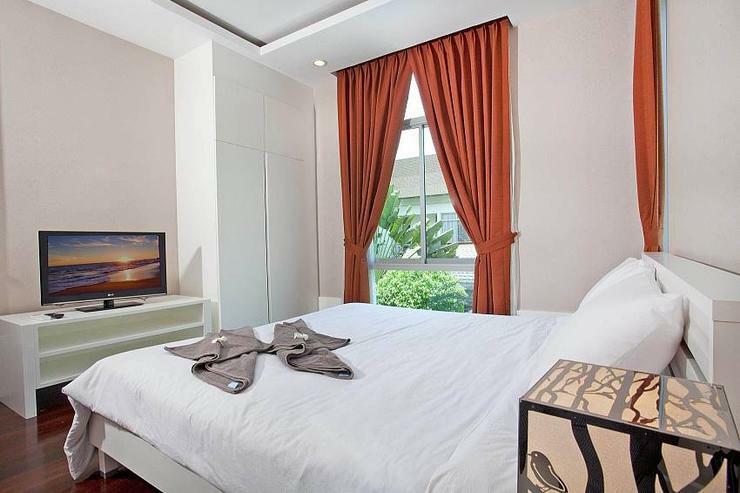 It will take approximately a 15-minute drive to reach Pattaya Beach Road. 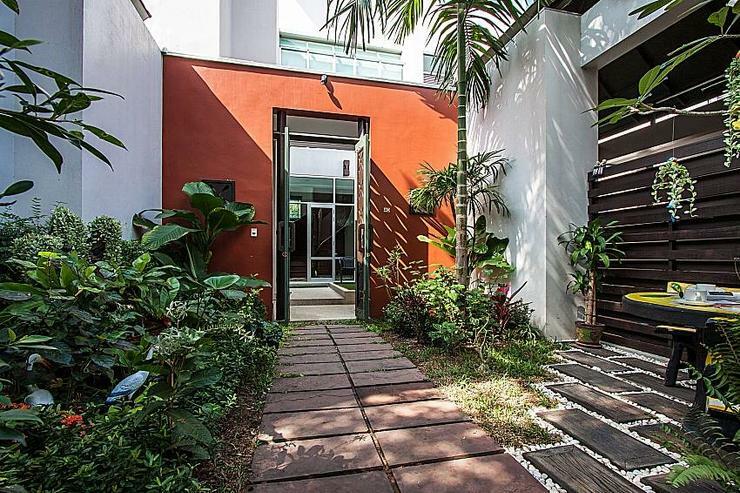 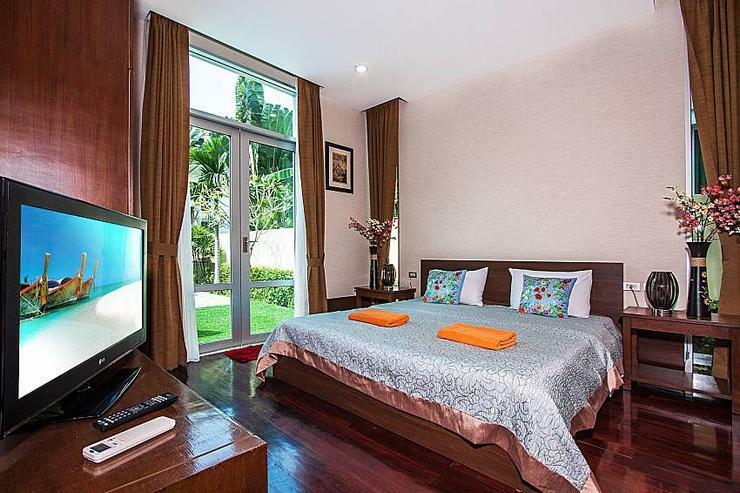 The villa is just a 1-minute drive from Sukhumvit Road, so easy access to the cityâ€™s major attractions is very convenient. 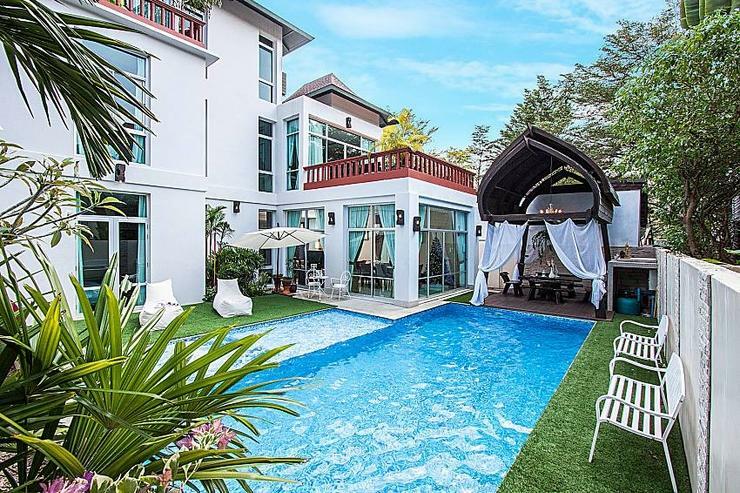 This wonderful brand-new 7 bedroom villa is located in Na Jomtien, a few minutes drive from the beach and a 5-minute drive to the main part of Jomtien. 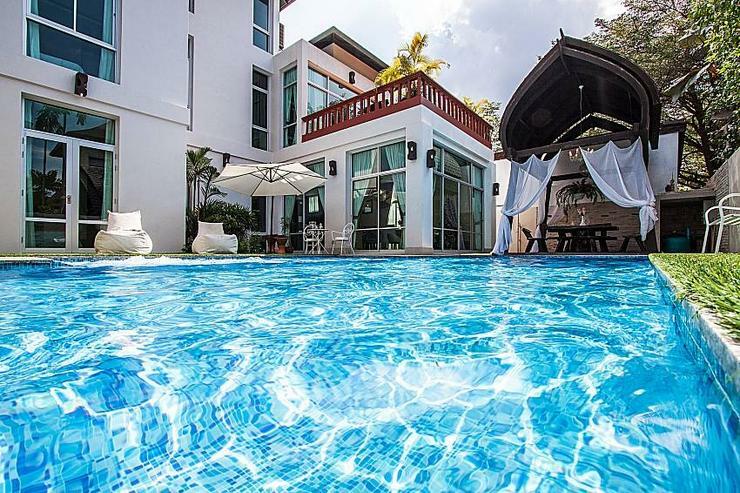 Situated on a gated estate with 24 hour security, the villa is an amazing place for families wanting to holiday together or groups of friends. 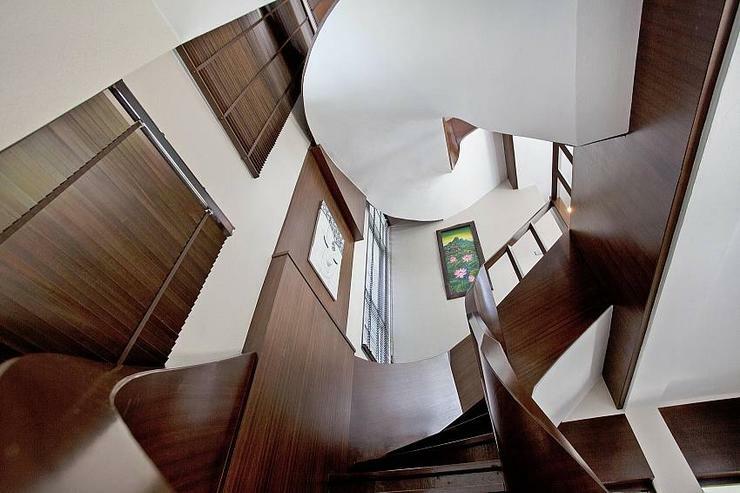 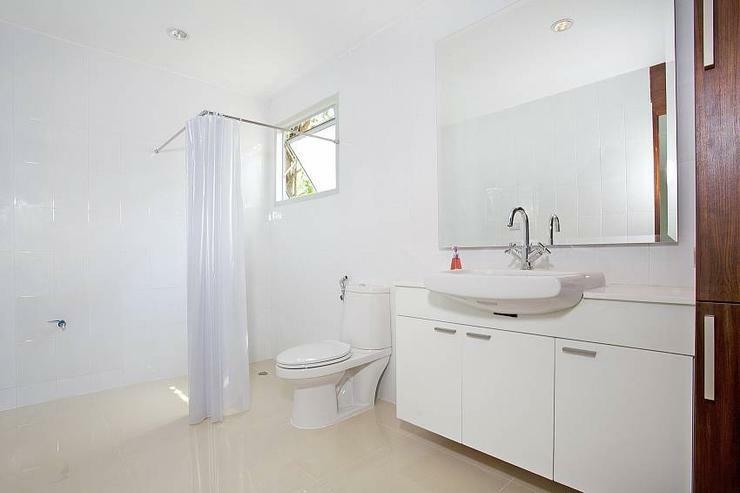 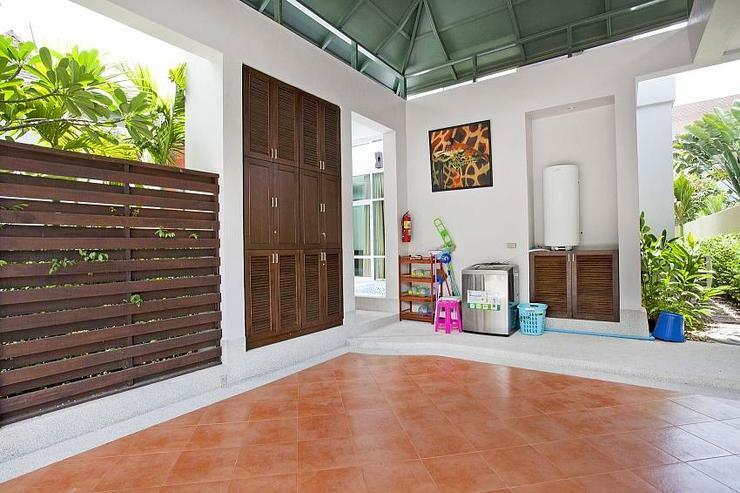 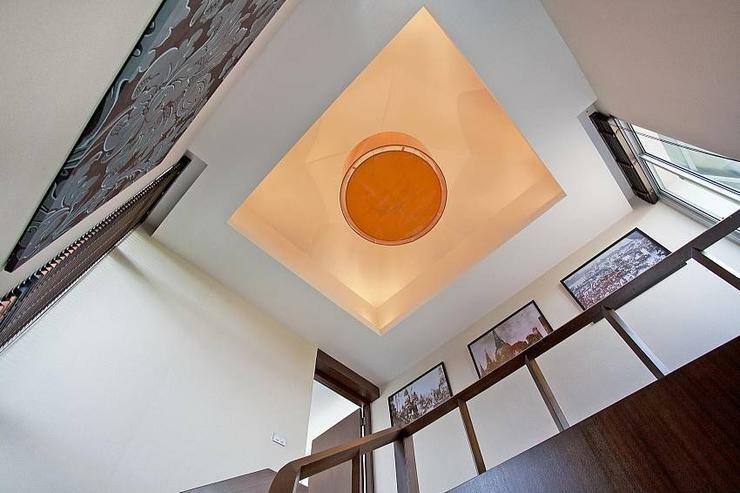 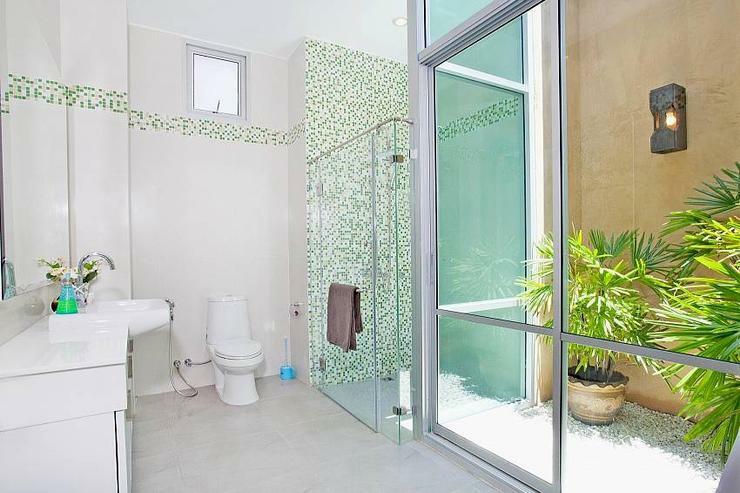 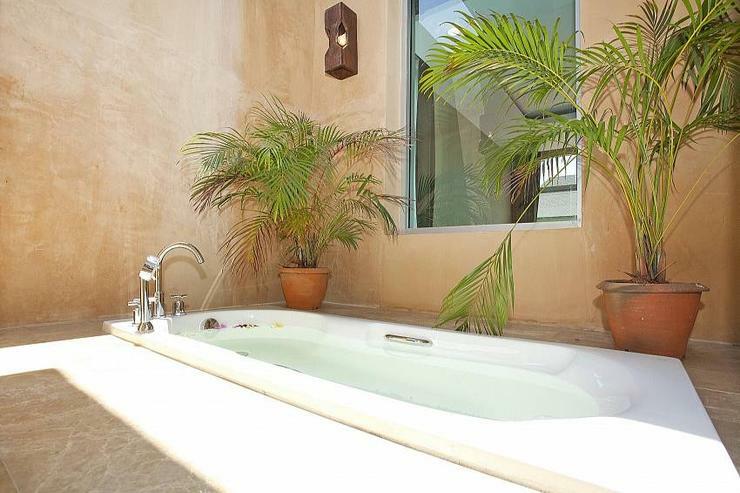 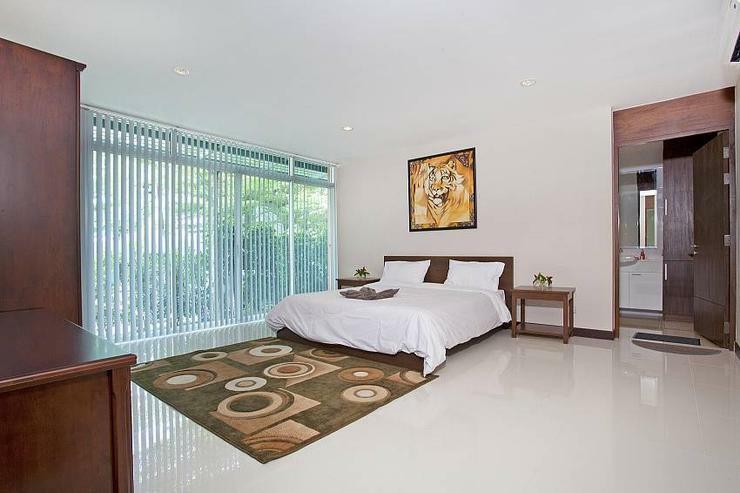 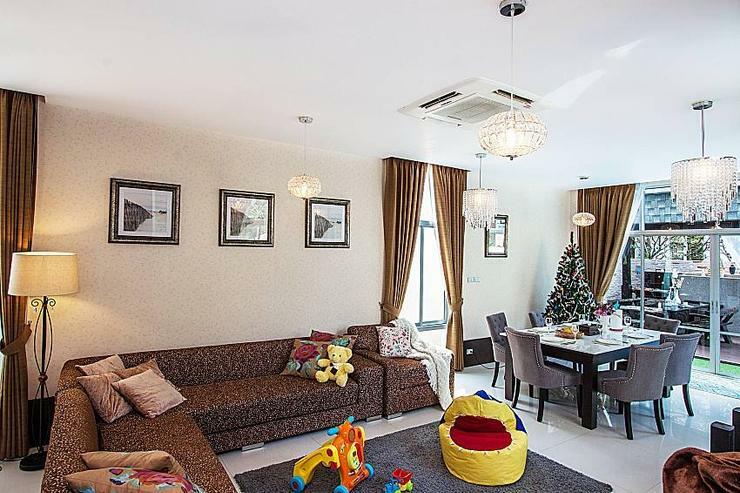 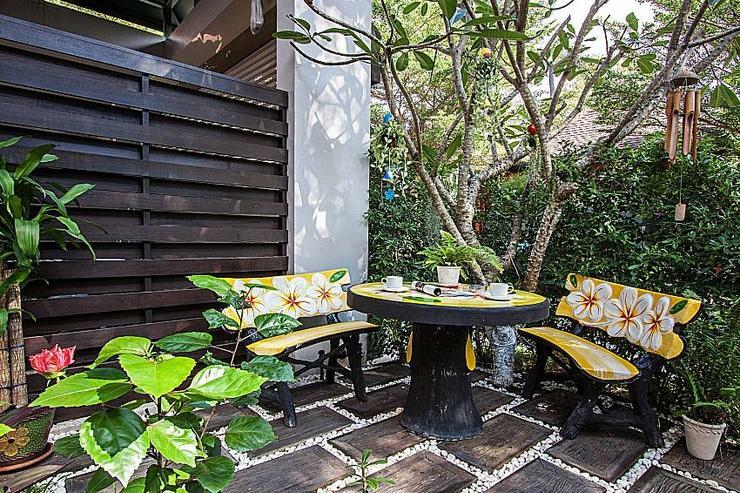 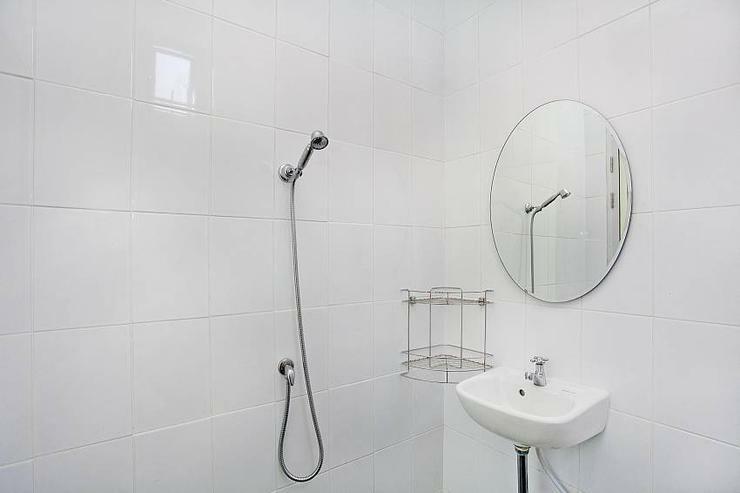 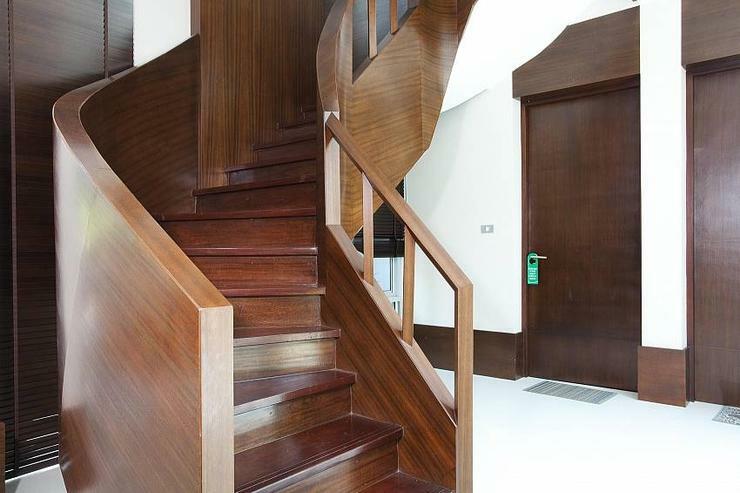 The villa is ultra-modern in design, spread over 3 floors and very clean and well maintained. 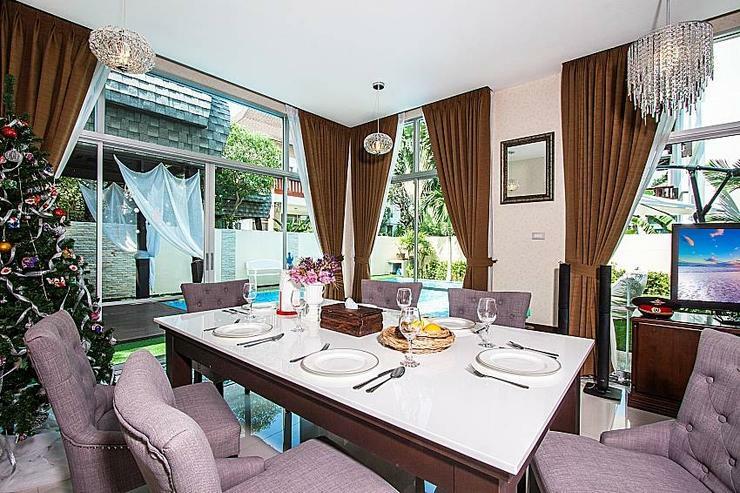 The villa has 7 bedrooms, 5 bathrooms, a private garden with swimming pool and Thai Sala, a comfortable lounge and a fully fitted kitchen with all the necessary appliances and tableware for 14 people. 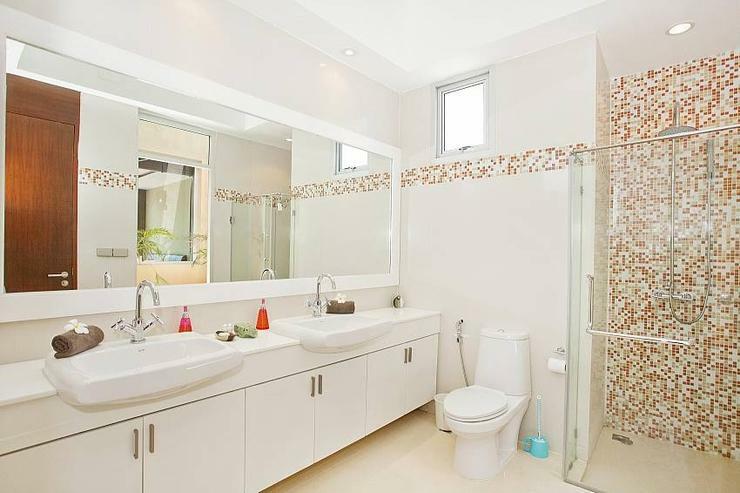 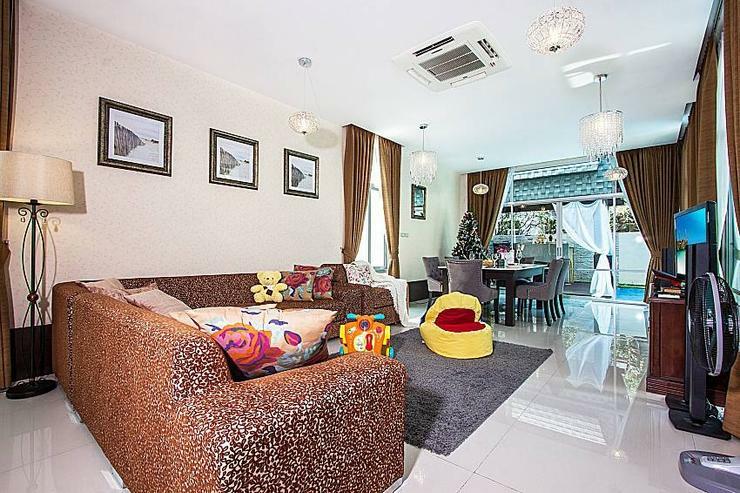 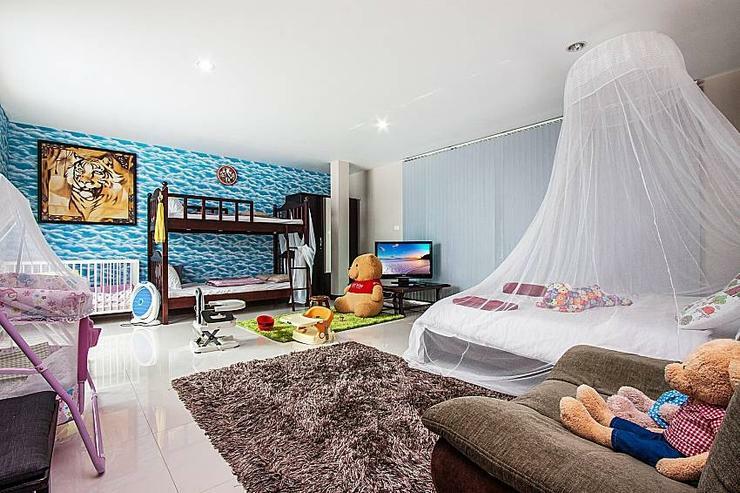 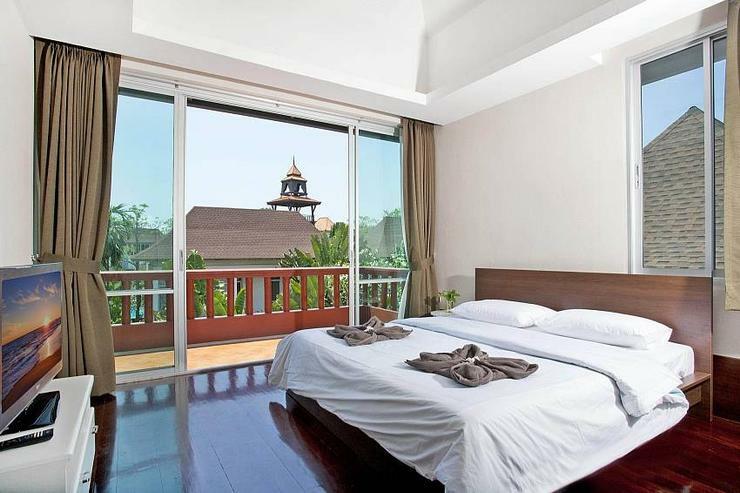 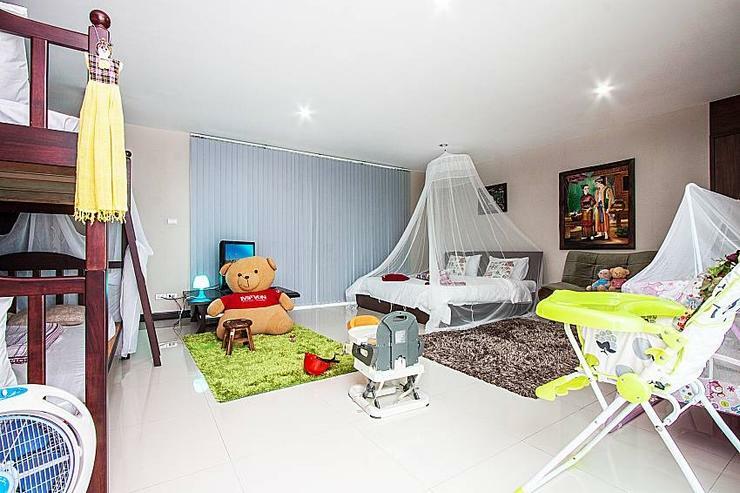 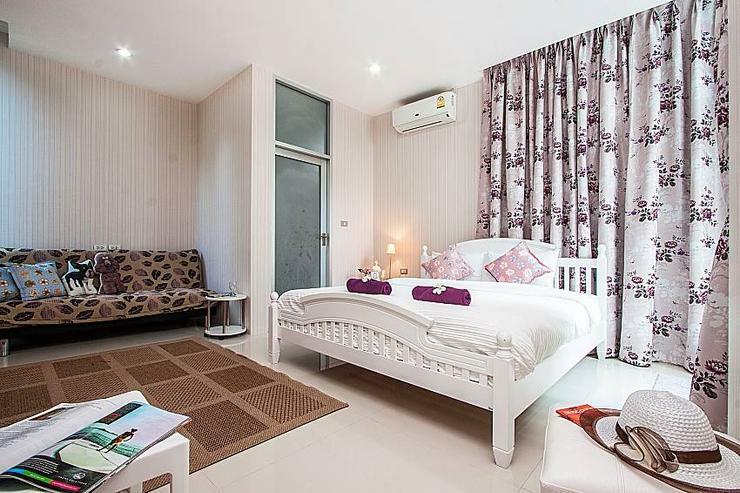 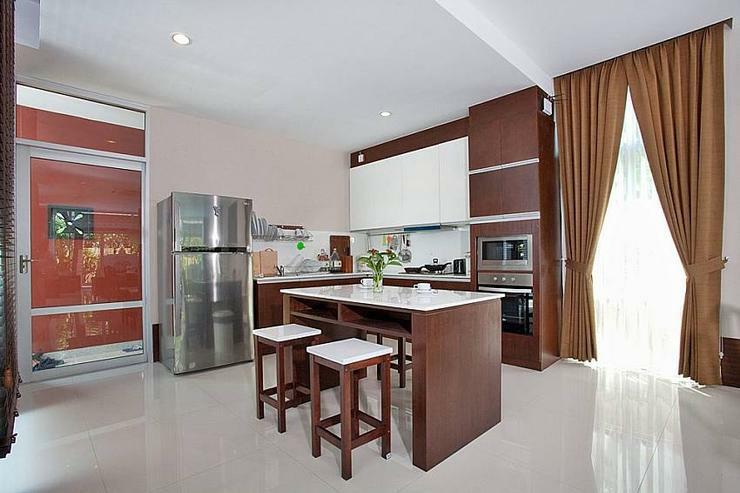 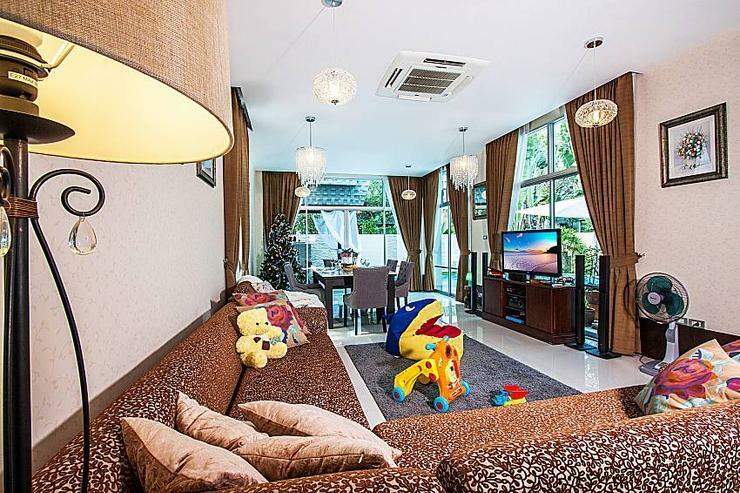 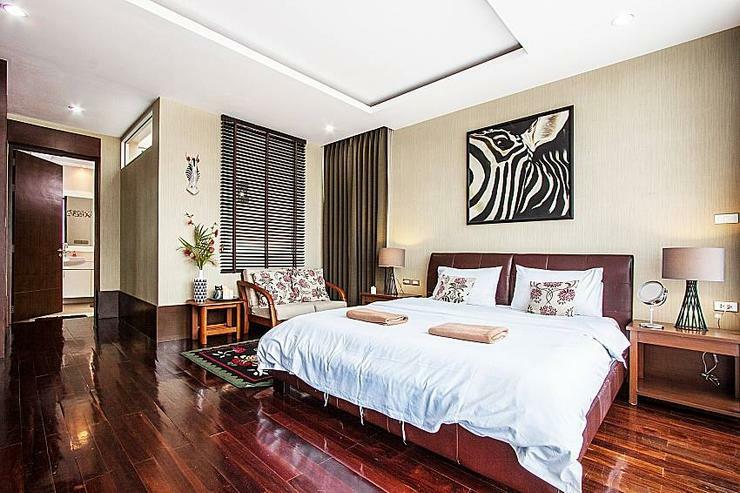 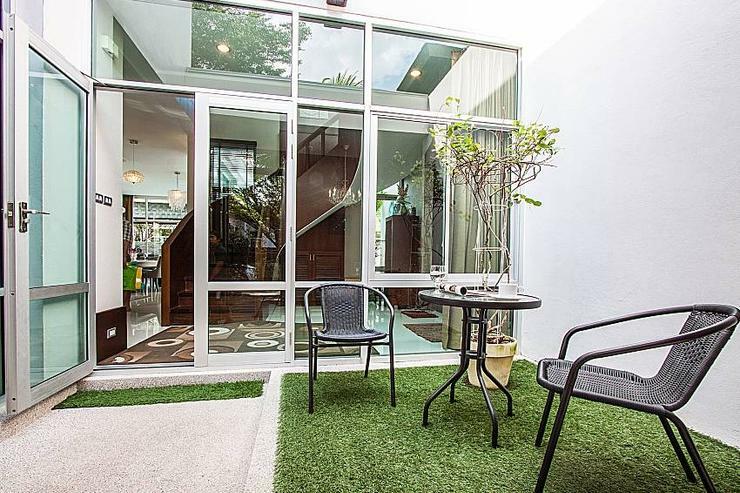 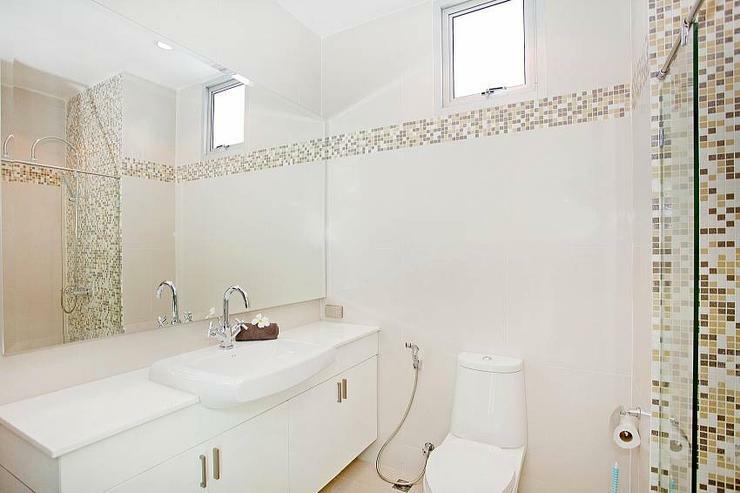 If you are seeking something modern in a convenient location that can sleep up to 20 people (14 in the rent incluced, 6 for an additional price), you have just hit the jackpot with Na Jomtien Waree Villa. 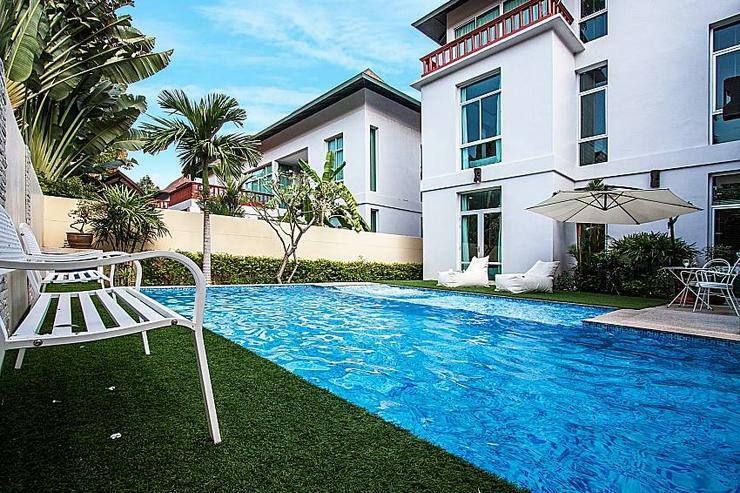 Na Jomtien Waree Villa is set in the heart of a classy residential estate with 24-hour security just 500m from Na Jomtien Beach. 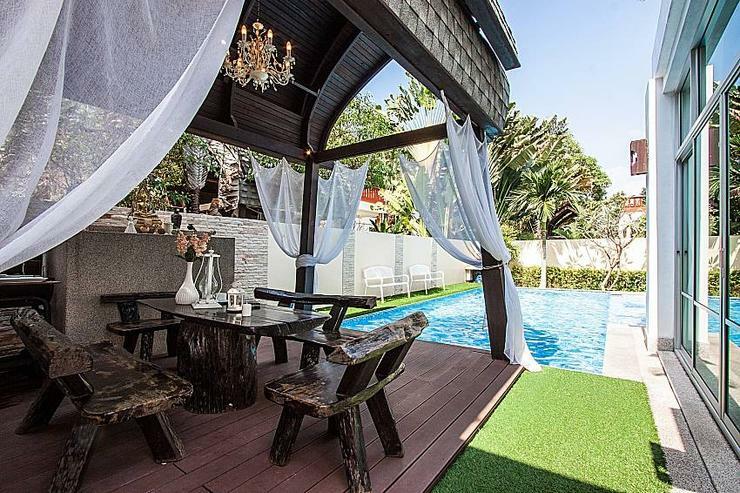 If you want to get into the main part of Jomtien, it will take a 5-minute drive, but when there, you can enjoy lots of international restaurants and beer bars. 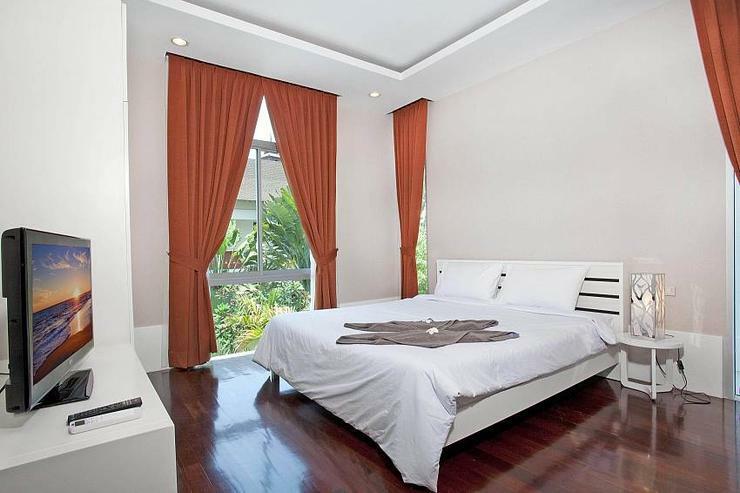 It will take approximately a 15-minute drive to reach Pattaya Beach Road. 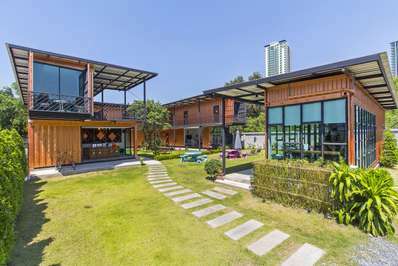 The villa is just a 1-minute drive from Sukhumvit Road, so easy access to the city’s major attractions is very convenient.